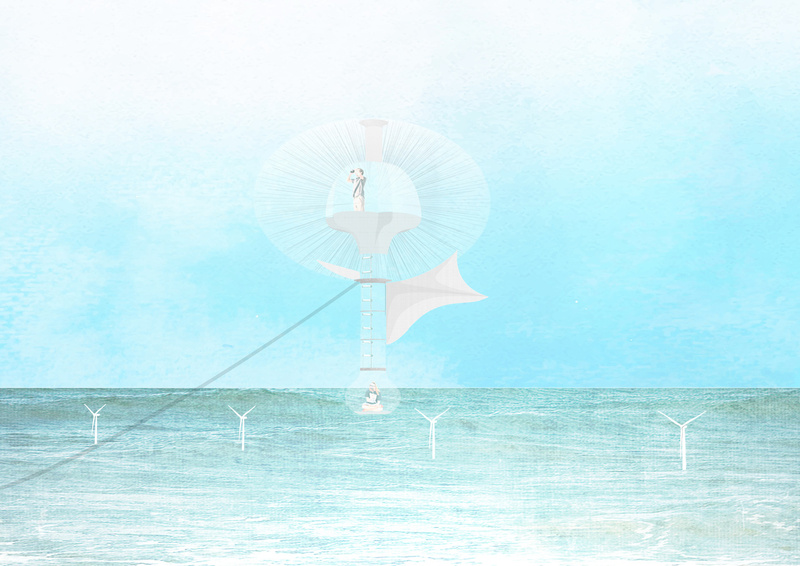 Wind turbines create various frequencies of sound pollution during operation both above and below water. Amplitude and frequencies vary depending on source: air foil turbulence, mechanical equipment and aerodynamic modulation. Although various studies and international environmental regulations have been set to limit wind farm noise production, they only take into consideration negative effects on humans. To date, there has been relatively little to no targeted research on how acoustic emissions affect the local wildlife. The research center will host a bioacoustics researcher and ornithologist for a maximum of two days to determine when the wind-farm-generated sound pollution begins to detrimentally affect the population of local birdlife. This short time span allows the researchers to confirm data collected by other electronic equipment. The researchers will then determine which turbine(s) will need to be prematurely shut down, modulating the lifespan of the wind farm in concert with DONG Energy’s predetermined wind farm expiry date. 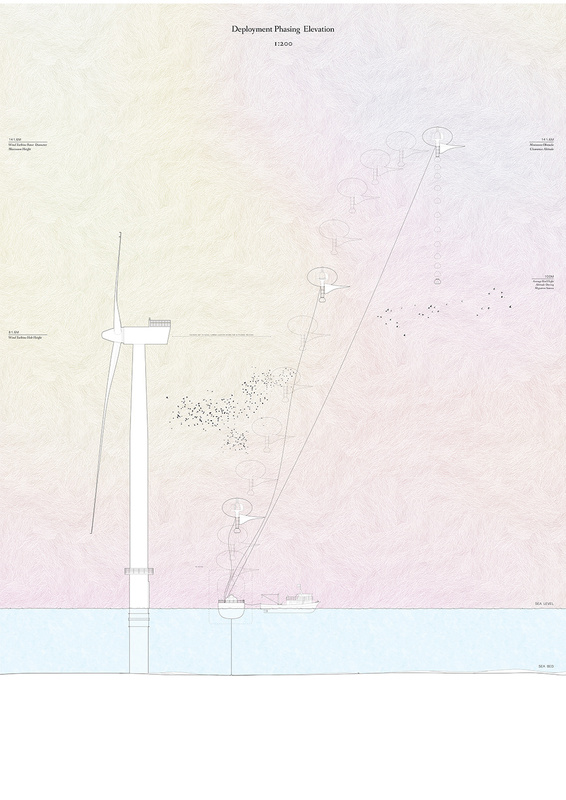 The habitat will move between a small number of critical turbines: around the border, the turbine closest to the substation, and a central turbine; in order to aggregate the total acoustic emissions from the wind farm, as well as localize problem sources to specific turbines for selective shut down. The habitat is designed to have no engine-generated noise and to rely solely on air currents and its position in the wind farm. In order to reduce its size, lightweight composite materials are used and program space has been reduced to two necessary spaces: an observation pod and a rest area/control deck. 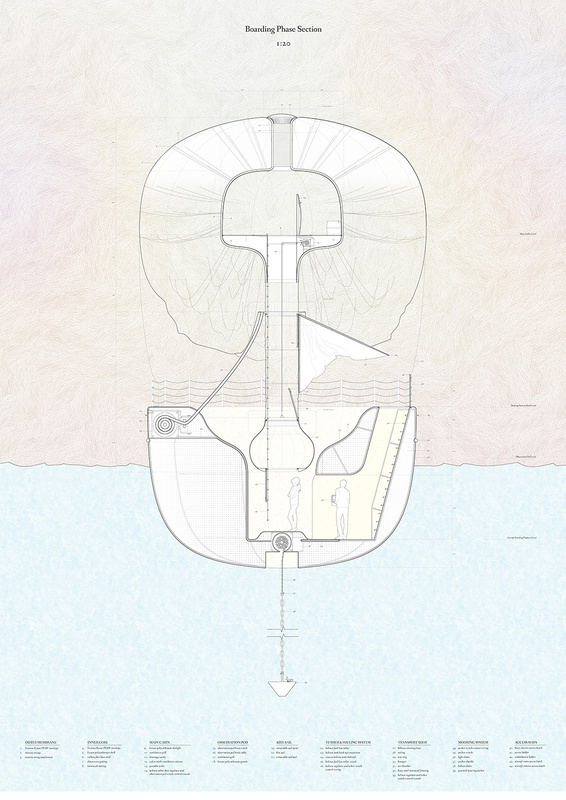 The habitat functions in tangent with its docking buoy, which houses most of the equipment required to keep the habitat afloat and in position.